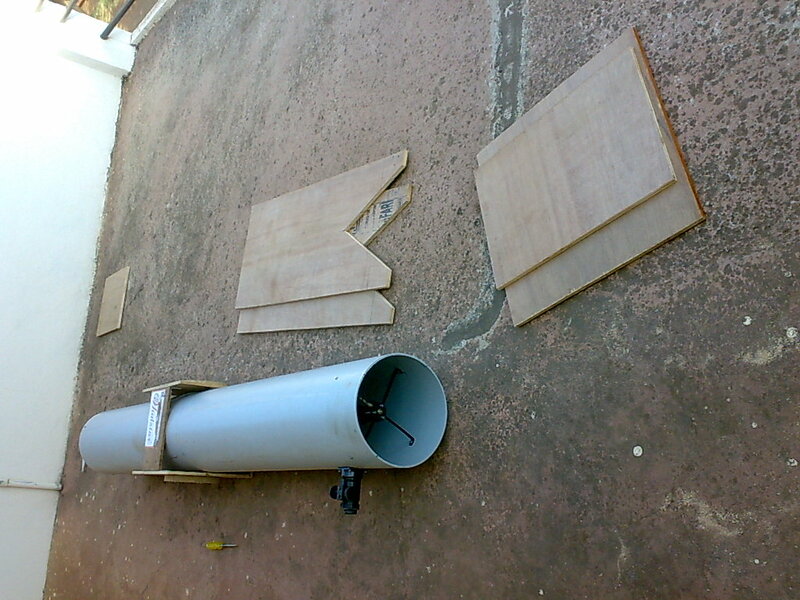 After the successful "first light" through the telescope, I spent last week in frantically building the mount. 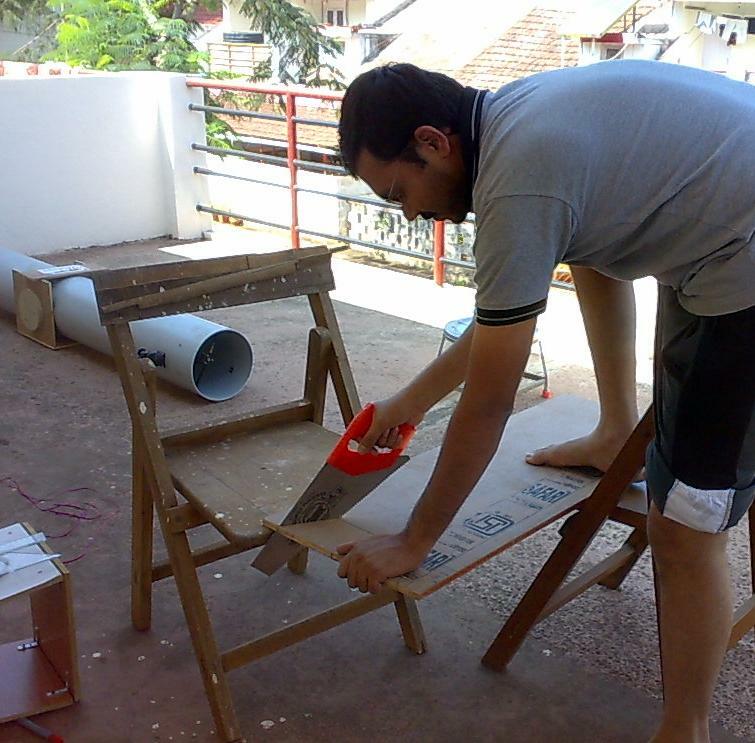 It was an interesting exercise to calculate the height of the mount and then to purchase the plywood of the right thickness and size. I had to make so many iterations while drilling, fixing, aligning the wooden pieces that it's a big surprise that I did not suffer a major emotional breakdown. 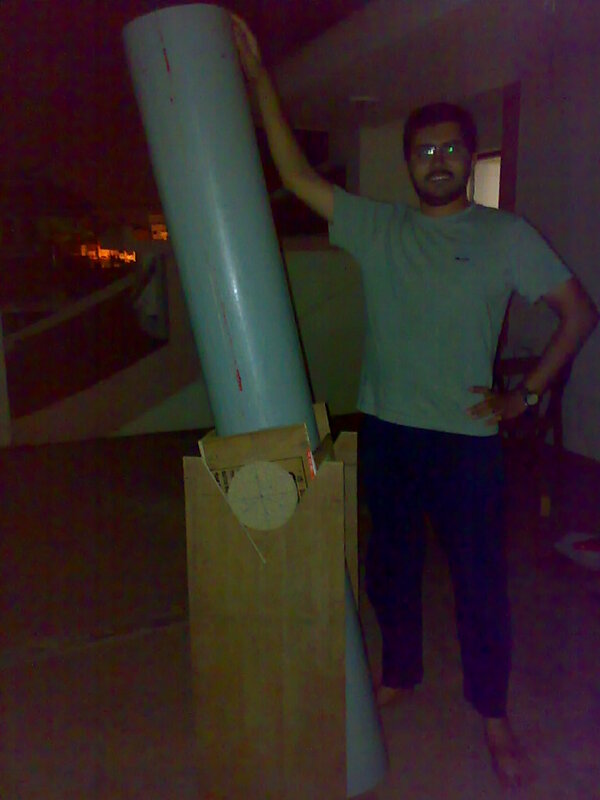 With the telescope mostly functional I called up my ex-colleagues from Vayavya for a quick observation session. I called them up at 10.30pm and PS, Madhu and Gobi turned up instantaneously. 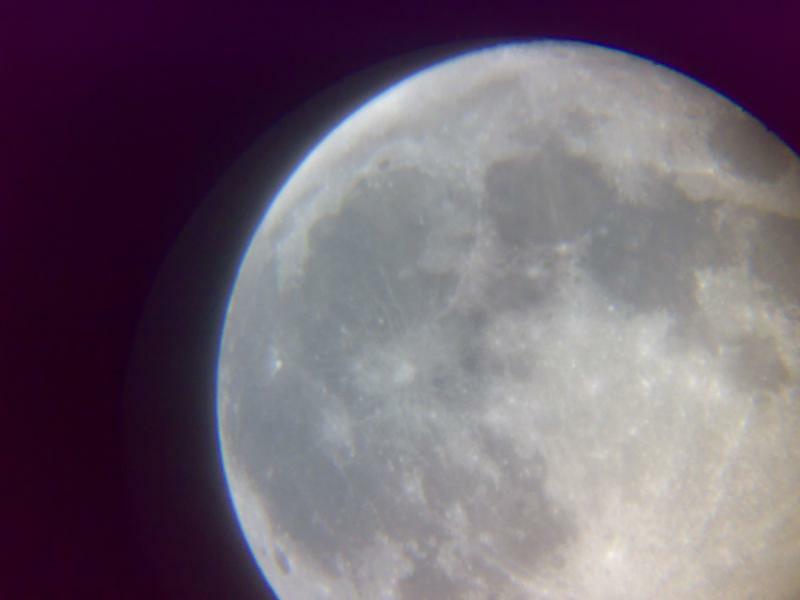 The full moon would have been the bane of a regular observation session, but since my mirror is not coated yet, it was the only object I could aspire to, and it didn't fail us. We took our turns admiring the moon, the telescope and the mount, in that order, and since all of them were first time observers, I got to give them a lot of golis (facts based on a fast lapsing memory). We enjoyed looking at the Geminids which were quite frequent, even with the Moon sitting squarely inside Gemini. 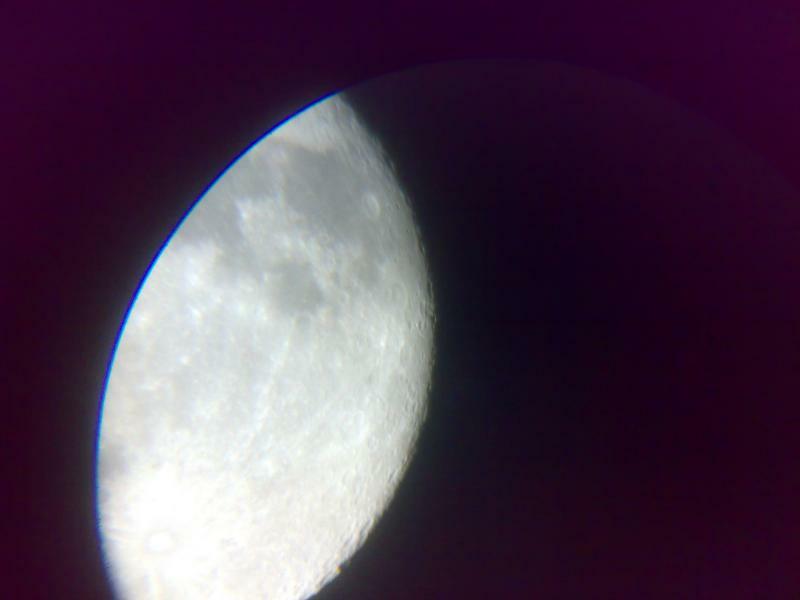 At some point, I brought out my 10x50 binoculars, and we had a peek at the Orion Nebula. All else was hopelessly lost in the Moon + street light haze. As if to share my cheer, a bright fireball appeared directly overhead and was visible for about 3-4 seconds. All in all, these were great observation sessions! I can hardly wait to get the mirror coated and begin some serious observations. Hey Pharaoh, thanks for the updates. Looks like you have made major progress with the scope [ & your beard ;) ] since I last saw you. Looking forward to hearing more interesting updates as you find your way through our majestic universe!